Philadelphia 76ers small forward, Robert Covington, went from being a Houston Rockets reject to becoming one of the most consistent shooters in the league from outside the arc. The former Tennessee State Tiger, who went undrafted in the 2013 NBA draft, has also been able to take his game high enough to earn a place on an All-Defensive First Team. 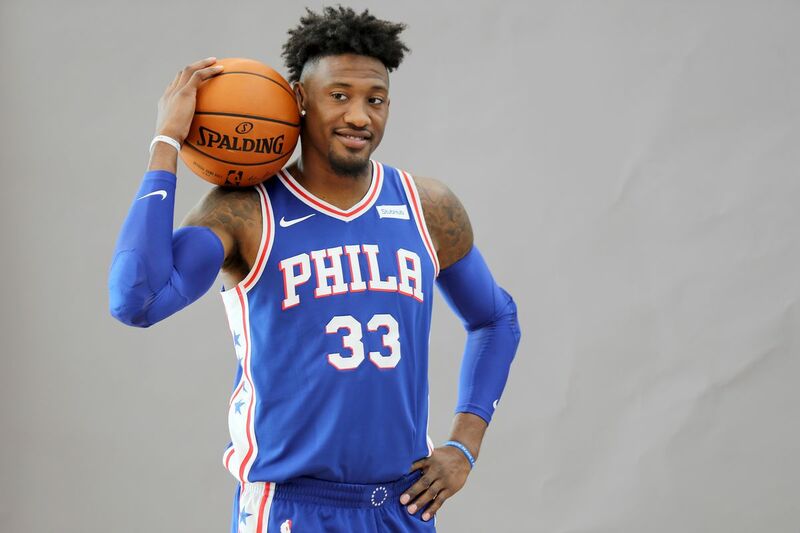 On the 14th of December 1990, in Bellwood, Illinois, Robert Covington was welcomed into the world by his parents; Dennis and Teresa Bryant. As a child, Covington did not quite show any exceptional athletic ability or basketball talents as most of the big names in the sports today did in their childhood days. He found it hard to make the cut in grade and middle school which forced him to go through the AAU route where he had to do things the hard way, although he eventually became a standout. Covington attended Proviso West High School where he was noted for his outstanding shooting ability although he also contributed on the defensive end. In his senior year, after averaging 18 points, 11 rebounds and 7 blocks per game, he led his team to the West Suburban Championship as he was named the West Suburban Conference Player of the Year as well as an All-Area and All-Conference first-team honoree. Following his graduating, Covington received scholarships from Sacramento State and Tennessee State University and he chose to go to the latter after visiting the campus. As a freshman, Covington averaged 11.5 points and 6.5 rebounds in 32 games and was named the Ohio Valley Conference Newcomer of the Year. In his sophomore year, he averaged 13.3 points and 7.5 rebounds in 30 games, which earned him second-team All-OVC and second-team NABC Division I All-District 19 honors. Covington took his game up a notch in his junior year as he this time garnered first-team All-OVC and first-team NABC Division I All-District 19 honors on the back of a 17.8 point and 7.9 rebounds average. He then averaged 17.0 points and 8.0 rebounds in his senior year which again earned him second-team All-OVC and second-team NABC Division I All-District 19 honors. By the time Robert Covington was leaving Tenessee, his performances had caught the attention of a number of teams that he believed were willing to take a chance on him by picking him in the draft. That did not come to pass as he went undrafted. The player however still got a chance to make it to the big leagues by joining the Houston Rockets who put him on their payroll after he played in that year’s summer league. Robert Covington signed a deal with the Rockets in July 2013 but was only able to make his debut in January 2014 where he played for only 54 seconds. He spent the majority of his rookie season playing in the NBA Development League for the Rio Grande Valley Vipers where he was named the NBA D-League Rookie of the Year. The Rockets recalled Covington for the 2014 NBA Summer League after which they deemed him not good enough and decided to waive his contract. Despite being drafted by the Grand Rapids Drive as the first overall pick in the 2014 NBA Development League Draft, Covington signed with the Philadelphia 76ers in November 2014. He worked his way up the ladder to earn himself a starting place and become a very integral part of the side. His defensive abilities in 2018 earned him a selection to the NBA All-Defensive First Team. 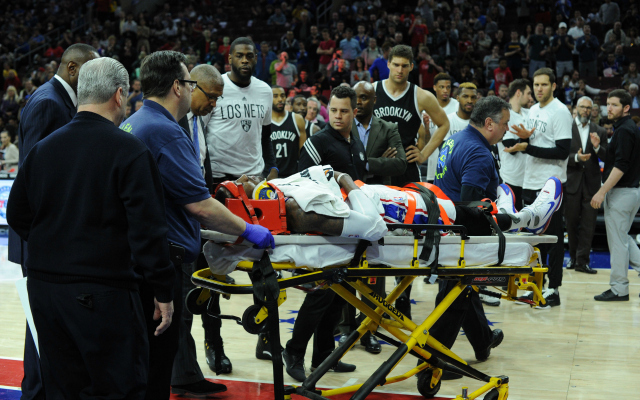 In March 2016, Robert Covington was taken straight to hospital from a game to receive treatment for a possible neck injury after he was mistakenly kicked in the jaw by teammate Jerami Grant. In April 2017, he headed back to the hospital for precautionary surgery to repair a slight meniscus tear in his right knee that made him miss the final eight games of the regular season. A year later, in May 2018 to be exact, Covington underwent surgery on his left middle finger to repair the extensor tendon. Robert Covington’s exact net worth is not clear but it is estimated to be between 10 and 20 million dollars. The Philadelphia 76er in 2017, put pen to paper on a 4-year $62 million deal to extend his stay with the team and as of 2018, this makes him the 4th best-paid player on his team’s roster. Covington has come a long way from the time he went undrafted but was still able to secure a place on the Houston Rockets roster, signing a 3 year $2.25 million contract in 2013 before getting waived in the following season. After that hiccup, he joined the Sixers on another 3-year contract worth $3.02 million before finally getting his huge payday.